Pat Quirke was “in control most of the time, grumpy some of the time”, Mary Lowry’s middle son has told the Tipperary murder trial. Jack Lowry claimed the farmer who leased his mother’s land “went around the farm as if he sort of owned the place”. However he also told the jury he had got on with Mr Quirke when he was younger and he had “nothing against him”. He knew all three of his children and got on well with them, he said. Jack, now 19, was 11 when his mother’s partner Bobby Ryan went missing in June 2011. 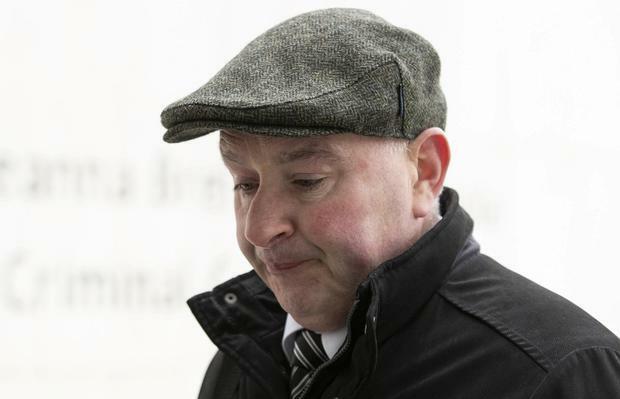 Patrick Quirke (50), of Breanshamore, Co Tipperary, has pleaded not guilty to the murder of Mr Ryan (52), a part-time DJ known as Mr Moonlight, on a date between June 3, 2011, and April 2013. Mr Quirke would be on the farm most days and Jack would spend time with Pat and his son, Alan, who died in a tragic farm accident in 2012. Jack recalled holidays abroad together, when their two families had travelled to Portugal and to Spain, staying in two villas with a private pool. He recalled Mr Quirke spreading fertiliser on the land but couldn’t remember him spreading slurry. Asked what age he was when his mother met Bobby Ryan, he said he was around 11. He had felt “weird” about the relationship at first, he said. “I used to slag Bobby about being bald. I thought he was taking over my father’s role, really,” he told the court. Bobby had taken the family to Tramore for a day out, bringing them to the carnival rides and arcades. His mother and Bobby seemed “very happy”, he said. He was asked how an old Toyota Corolla came to be on the farm, and he said Bobby and his mother had bought the car “for Tommy, my older brother, to practise driving”. Asked whether he was ever in the car, he said only when Tommy was driving it and he didn’t drive it himself until he was 14 or 15. Tommy would disconnect the battery so the car wouldn’t go dead, he said. Asked about the day Mr Ryan went missing, Jack said he came home from school on the bus with his eight-year-old brother and they went into their grandmother Rita’s house for dinner. Under cross-questioning by Lorcan Staines SC for the defence, he was asked why he told the gardaí the car was for “us”. “I meant to say ‘us’ when I was older,” said Mr Lowry, adding: “I could barely reach the pedals. Mr Staines put it to him that his brother, Tommy, gave evidence suggesting both of them were driving the car. Asked whether he was at the court previously, Jack said he came to support his brother Tommy but he wasn’t called that day so did not hear him speak. Asked whether he was in court for any of the days, he said he was not. Questioned whether he had met his brother after he had given evidence, he replied: “No, I was in college so I didn’t get to meet him until the Friday I was home.” His brother had not wanted to talk about it when he came back from court, he said. Mr Staines asked him whether he could recall going to his grandmother expressing concern because his mother was not there and in the course of this conversation, his mother had driven into the yard. Mr Lowry said he had no recollection of that. A deposition for Rita Lowry was read into the record, taken at Nenagh District Court on September 28 last. She told how she had spent more than 60 years at Fawnagowan, having lived happily there with her husband, John, a dairy farmer. When her son Martin married Mary, they built on an extension to the house. She said Pat had helped out on the farm and she later added that he and Mary were “always great friends”. After Mary met Bobby Ryan, Rita was happy she had met someone because she had been very upset. The night before Mr Ryan went missing she was out playing cards and arrived home about 11.30pm. It was a normal night and she went to bed and slept soundly. The following morning was also normal. Mary Lowry dropped her into town to meet her daughter as she did every Friday. She got home about 3pm and saw Mary crying and “very, very upset”. 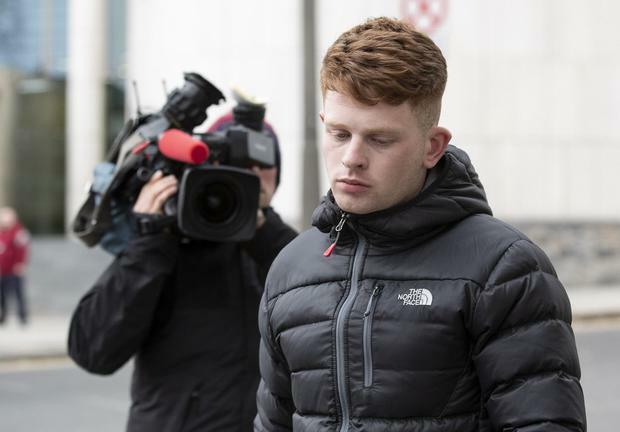 Under cross-examination, she recalled telling gardaí that Jack, her grandson, came to her one morning to say his mother wasn’t home. A short time later Mary drove in. Michael Bowman, SC for the prosecution, told the jury the prosecution evidence is likely to finish today, with the case formally closing on Friday.